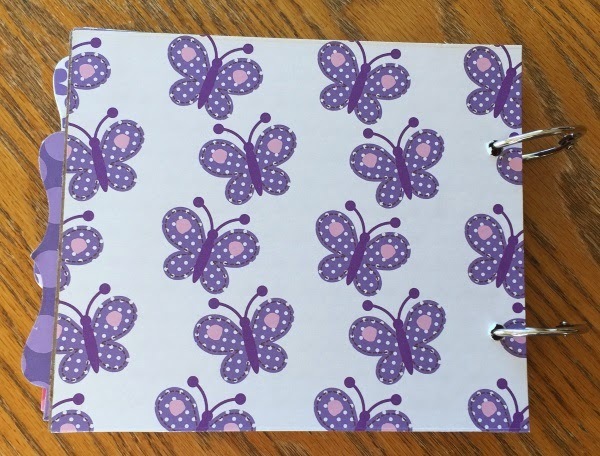 Started this butterfly book and I have yet to add the quotes. after the party and pictures are selected she will decide which route we are going. 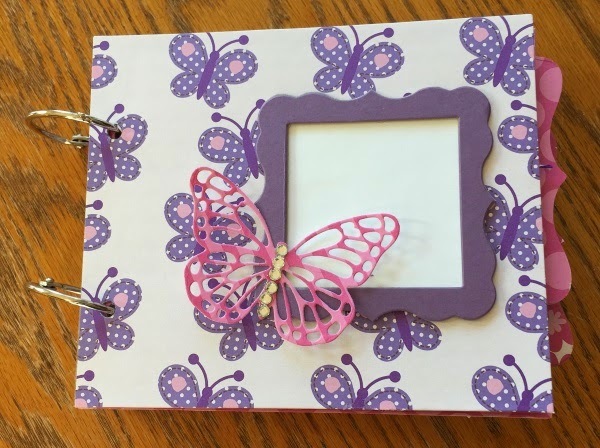 Each set of pages has a tag for journaling, photo mats and a butterfly with gems. Also places for quotes or sayings is ready when the decision has been made.